Ronaldo missed Tuesday’s Champions League match against Young Boys because he had previously been suspended after getting a red card in an earlier match. However, he did play in the Italian league last weekend shortly after news broke about the allegation against him. 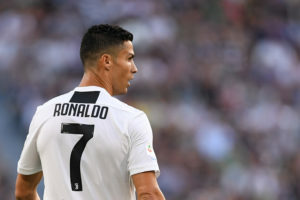 On Thursday, Juventus sent a statement of support and called him a “great champion.” But sponsors Nike and video game maker EA Sports have expressed concern about his conduct. Since the allegation surfaced, Juventus’ share price has fallen by nearly 20 percent. Besides playing for Juventus, Ronaldo is also the star of Portugal’s national soccer team. But he was left off the squad for a pair of matches next week.